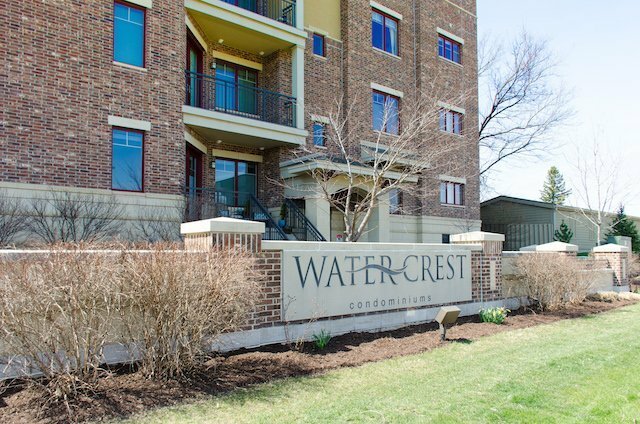 Water Crest Condominiums is a 42-unit Lake Monona condo development built in 2008 by Stevens Construction. Located in the City of Monona with beautiful Capitol views, Water Crest condos features open concept living/dining/kitchens great for entertaining, gas fireplaces, hardwood floors, tiled baths, in-unit laundry and private decks. Enjoy breakfast, lunch or dinner and sunsets on the stunning waterfront terrace, pier, or in the community room featuring spectacular Capitol views. The community room is perfect for entertaining or you can use it as an inexpensive hotel room for your out-of-town relatives, friends, or overnight guests. Underground/heated stalls & storage units available. Close to bus lines & shopping! Can't find Water Crest Condos for sale? Explore the inventory at these other fine Lake Monona condo buildings. Need more information about Lake Monona condos? Contact a Lake & City Homes lake condo expert for assistance.